KUWAIT CITY, Dec 8: The Court of Cassation sentenced a female Kuwaiti Islamic Studies teacher to seven years in jail for physically abusing her daughter. 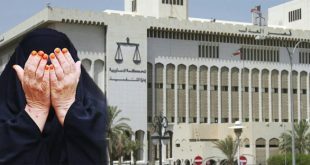 Case files indicate Attorney Abeer Al-Fawaz, who is representing the plaintiff, reported that the mother battered, bit and burnt her daughter as a way of venting her frustration over her divorce. When the child’s father found out the abusive acts of the woman, he referred his daughter to Forensics in order to obtain a medical report. The medical report affirmed the accusations, whereas the Public Prosecution charged the mother with intentionally injuring her daughter and refusing to take care of her. It is worth mentioning that the Court of Appeals upheld the verdict of the First Instance Court which sentenced the woman to three years and six months in jail with hard labor. Duo not guilty: The Criminal Court presided over by Judge Me’ab Al-Ardhi acquitted two expatriates of trafficking in hashish. 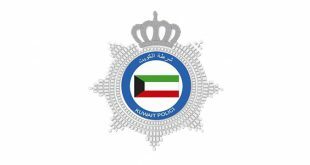 The Public Prosecution charged the suspects of p o s s e s s i n g drugs for trafficking purpose based on account of the p r o s e c u t i n g officer who claimed the suspects violated red traffic signal in Al- Ahmadi governorate, and that security operatives found the illicit substance with a sensitive scale while inspecting their vehicle. Defense Attorney Saud Al-Najdi indicated the process of inspecting the vehicle was illegitimate and which rendered the ensuing procedures invalid—especially as the vehicle does not belong to the suspects, and the officer could not prove the alleged drugs belonged to any of them. 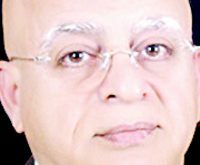 Expat acquitted: The Court of Appeals, presided over by Judge Nasr Salim Al Heyd, acquitted a foreigner of possessing narcotics and brain stimulants for personal consumption and trading. Court files indicate that the First Instance Court had earlier sentenced the foreigner to life imprisonment with the possibility of parole. According to the Public Prosecution, the foreigner was arrested after the police raided his apartment and discovered the narcotics. In his defense was Attorney Muna AbdulMuhsin Al-Rifae, who pleaded for the acquittal of her client as the search and arrest procedures were conducted illegally. Al-Rifae raised doubt on the testimony recorded by only two witnesses – the arresting officers. She found their testimonies to be contradictory, stressing her client was neither under suspicion nor committed a crime that would have given police justification to conduct search and arrest procedures.